Skein 5 or color D, which I selected for the midpoint of the shawl, is composed of browns tinged with green to peachy browns. It has brought the colors into better focus and toned down the colors. 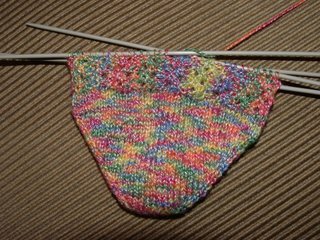 On Sunday I began my adventure in "Heels and Toes" with Judy Becker's Magic Cast-On from the Spring '06 issue of Knitty and a skein of Regia Bamboo Color in the Clown colorway. I found it rather tough going and gave up in the wee hours of Saturday night after numerous attempts. I re-gathered my thoughts and tools Sunday afternoon for another go round. Voila! Corded Rib socks from Sensational Knitted Socks. 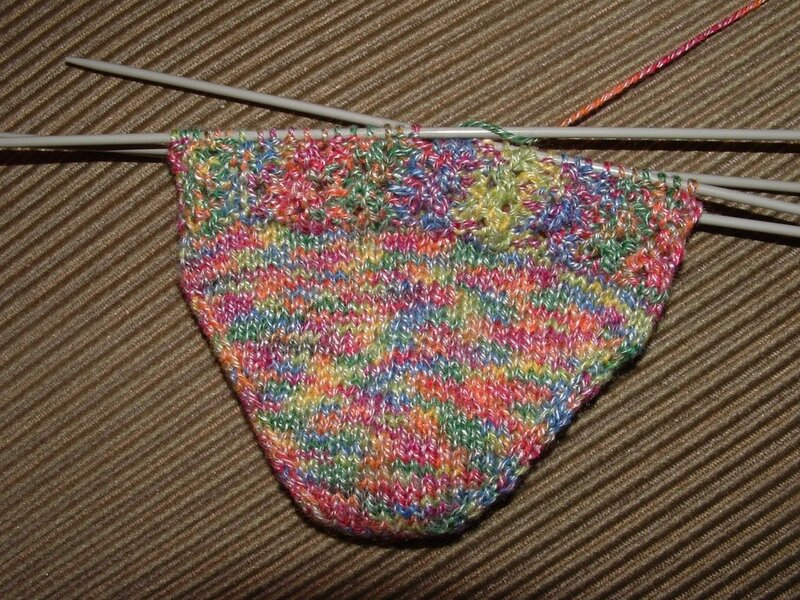 The colors are pooling on the patterned rows, a totally unexpected occurence given the way the yarn is dyed, further proving that there is a stitch pattern that will make almost any variegated yarn pool. It looks pretty neat at the moment. I'll knit on for a couple of inches to see how the pattern continues to develops. Charlotte and your sock both look great. 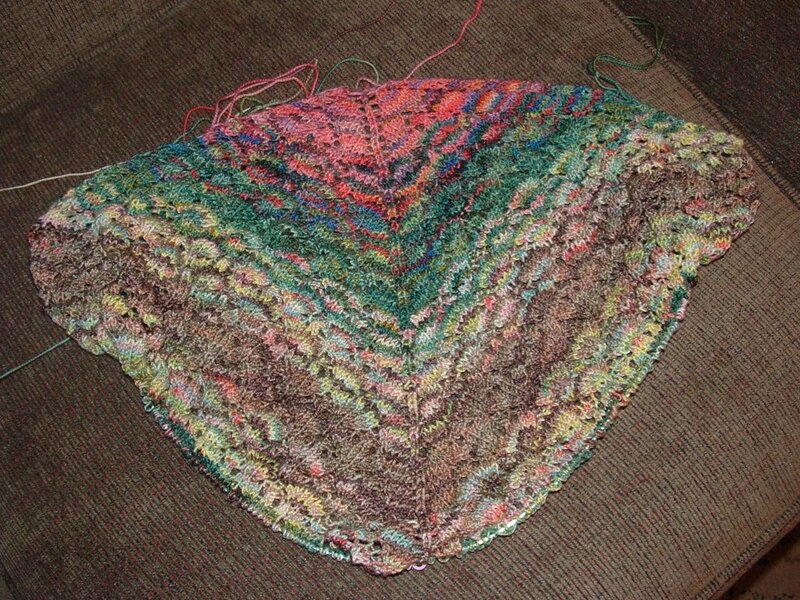 The shawl is gorgeous . I have loved it since the first posting!